​Nicholas “Nick” Wood received his J.D. in 1999 from Lewis and Clark College’s Northwestern School of Law in Portland, Oregon. By 2001, Nick was serving as a Judge Advocate (JAG) working on complex legal issues for the United States Air Force. 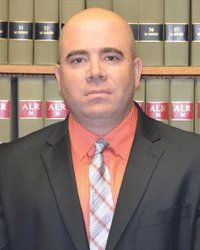 Take a few moments to learn more about Nick Wood’s legal experience and educational background and find out how Nick can help you take on your criminal defense, family law or civil litigation case. Nick Wood was born in Oregon and has been a life-long resident of the beautiful Pacific Northwest. Nick received his high school diploma from Gresham High School, his Bachelor of Science in Administration of Justice from Portland State University, his Juris Doctor from Lewis Clark’s Northwestern School of Law, and his Master of Business Administration from the University of Portland. While attending the University of Portland, Nick was a cross-town R.O.T.C. candidate, earning his commission as a second lieutenant in the United States Air Force Reserve. Professionally, Nick has worked in a variety of legal advocate positions over the course of his 17 year legal career including: Legal Intern at the Clark County Prosecuting Attorney’s Office, Judge Advocate (JAG) for the United States Airforce, over 11 years as a private practice attorney in Vancouver, WA, and almost 5 years as a part-time Municipal Court Judge. Since 2005, Nick and his family have enjoyed being part of and contributing to the Vancouver, Washington community. Nick has served on the board and coached for the East Vancouver Venom Football Association (Pop Warner), as a coach for Clark County Youth Football, and as a baseball coach for Cascade Little League.